How can governments become more open and transparent, while simultaneously dealing with various challenges, such as data sensitivity? How can open government data be used to improve policy making? Which technologies are available to make governments more open and to use open government data? Governments all over the world aim to become more open and transparent in order to establish closer ties with their constituents. However, opening government involves complex challenges and poses two major areas of concerns. First, many different stakeholders are involved and there are various dependencies between them, and second, the technologies that support open government are fragmented. In addition, it is unclear how different contexts should alter the best practices for open government. This course explores the foundations and objectives of Open Government and examines current developments, including the opening and reuse of governmental data such as the release of data by governments in America and Europe. This course will empower you, by helping you grasp the key principles surrounding open government. The topics of the course are applied to concrete cases, which you will be asked to analyze and discuss with your peers. Students interested in the basics of open government, in data-driven governance and data-driven research. Professionals and researchers working on open government research and interested in strategies and challenges for opening governments. Professionals and researchers working on open data research or open data initiatives. Professionals and researchers working on topics related to public values, including transparency and privacy, in a governmental context. Senior administrators, policy advisors, government officials or agency members, who are interested in how ICTs change governments and how ICTs can be used in public administrations. Basic concepts related to Open Government and Open Government Data. How to analyze and discuss benefits, barriers and potential negative effects of a particular open government case. How to analyze public values and best practices related to open government. How to apply the open government principles in various situations. How to understand potential negative and positive effects Open Government might bring to the workplace. 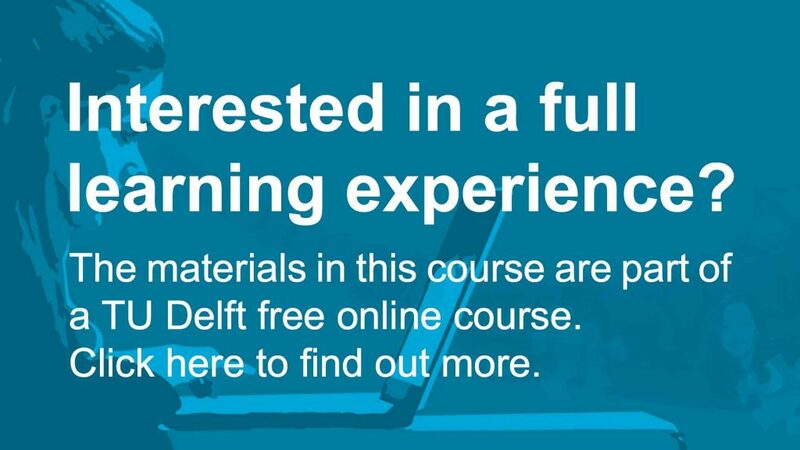 Open Government by TU Delft OpenCourseWare is licensed under a Creative Commons Attribution-NonCommercial-ShareAlike 4.0 International License. Based on a work at https://ocw.tudelft.nl/courses/open-government/.